All residential real estate transactions involves certain fixed costs. Sellers and buyers usually split these costs, as specified in the real estate sales contract. As indicated below, many of the costs result from getting your mortgage loan. At 1st Credential Mortgage Inc, we are highly experienced in residential mortgage lending, so we can compile a comprehensive report on closing costs related to your mortgage in your "Loan Estimate". 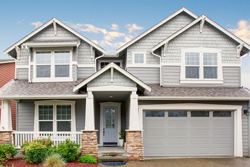 Soon after you apply for a loan, we'll give you the "Loan Estimate" of your closing costs. We base this cost estimate on our extensive past experience. Please note that while our LEs are very accurate, we cannot always estimate costs to the penny. We handle buyers' questions about closing costs every day at 1st Credential Mortgage Inc, so please be sure to ask if you have questions. We've provided a general list of these costs below, but we will provide you a specific list of closing costs, with amounts, soon after you complete your application. At 1st Credential Mortgage Inc, we don't believe in surprises, so if your costs change, we will be sure to let you know immediately. 1st Credential Mortgage Inc can help you understand closing costs. Give us a call at (281) 778-0805.